About a year and a half ago, I was at a BBQ during the South by Southwest (SXSW) EDU conference. We were out in Bastrop, Texas, and someone I'd never met before came up and handed me a flyer for a conference. SparkFun gets invited to lots of conferences, so this wasn't an unusual request. But the guy who handed it to me, Dan Blake, and the conference he was about to get me to go to would prove to be rare indeed. In August of 2016 I attended the first reMAKE Education Summit in Santa Rosa, California. The event is hosted by the Sonoma County Office of Education (SCOE), and I knew right away we were in the midst of a great event. The proximity to the maker community in the Bay Area and the ties to Maker Ed and MAKE: magazine primed this to be great right out of the gate. And it hasn't disappointed. This year reMAKE has hit stride, and as I flew home I found myself wishing it hadn't ended. The return of attendees from last year and the new mix of people from places around the country made this another hit. As the event approached I was lucky to get to team with Sam Patterson to start looking at what we might want to present. Sam is at the Echo Horizon School in Culver City, and I had spent time with him and Elaine Wren, one of the school's former administrators, at SXSW EDU and CUE in March of this year. 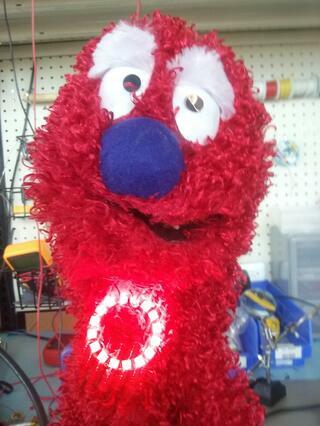 Sam is affectionately know as “The Puppet Guy” around education circles, and I have been blessed to get to work on some toy-hacking projects and to be the trusted keeper of “Notorious LED,” one of Sam's puppets, for a neopixel install over the past few months. Elaine and Sam were running a workshop on design thinking with puppets that I've attended before, and Sam had put in for some toy-hacking presentations. But we hadn't pinned down a solid time and figured we would run our toy stuff in some of the common areas as drop-in sessions. Little did I know how our time there would unfold. As Sam and I came through the doors at Studio 180, where the event was held in Santa Rosa, we caught up with Dan Blake and Casey Shea from SCOE. They settled us in quickly and then sat us down and asked if we would be willing to help fill out a maker education panel for the opening keynote. Neither of us were expecting this in the least. As it turns out, the keynote speaker had some flight difficulties and wasn't going to make it. Sam and I looked at each other and smiled — of course we would. In short order we coerced Sheryl Sotelo to join us. Sheryl was an Einstein Fellow, and we had met during workshops SparkFun was running on the East Coast. We have kept up since Sheryl returned to her home in Alaska after her stint in D.C. I think of her as the mother of all making in Alaska, and she is a dear friend who could add amazing stories about bringing making to what is considered a last frontier. 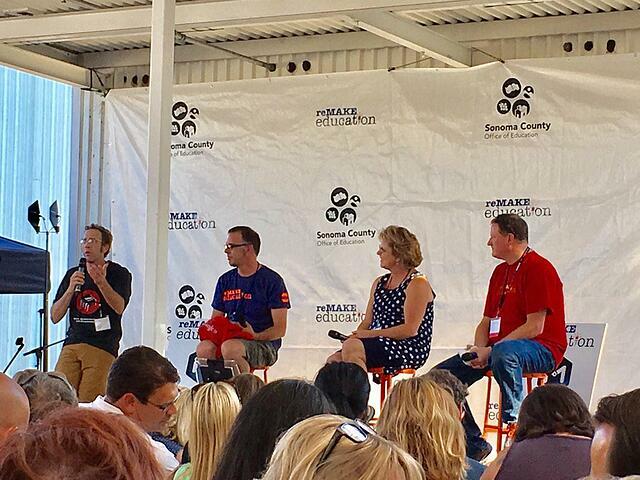 Sam, Sheryl and I took the stage with Matt O'Donnell from SCOE as the moderator, and we had a blast with the crowd. Matt steered the conversation through our backgrounds and our approaches to deliver our respective practices, and the audience was warm and inviting. That night we set about to deliver a quick session on Open Processing and were graciously invited by Kerry Bruce from Albuquerque Community College to use his pi-topCEEDs to deliver the session. It was super fun to actually mix the Processing material and the pi-topCEEDs to give attendees a broadband experience with the material and access to what was a new technology for many of them. 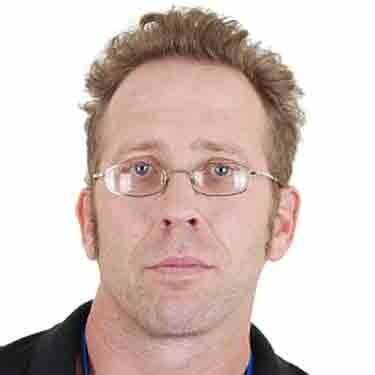 Kerry has joined PiAcademy and is teaching some of the sessions nationally. If you get the chance to catch up with him, treat yourself, because he is a skilled presenter and a master of all things RPi. We toted in the toys we had secreted away in hopes of getting a chance to share our newfound love of toy hacking and setup. The room filled quickly, and we were fortunate enough to get to migrate the workshop to an electronics lab at Studio180 after an hour and a half of direct instruction. 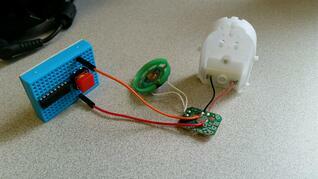 The workshop stretched to about three hours as participants soldered and added components and jumper wires to their toys. I loved getting to try this workshop out, and I think a grand time was had by most. Thursday afternoon I caught some other presentations and a great panel on gender and maker education. One of the things I love about these workshops is the chance to see what everyone else is doing; I never seem to get enough time to check out the full offerings. Sam and Elaine delivered their workshop on design thinking and puppets, and our day closed quickly as I took Elaine to SFO for her flight back to LA to deliver a workshop the next day. As Friday started, Sam and I looked forward to catching Ryan Hoffman's session on the Carnegie Mellon CREATE Lab toolkit. CREATE Lab is the startup bringing some of CMU's research to market, and there are some pretty sweet tools. The day wrapped up with a keynote from Tony DeRose from Pixar. Tony laid out Pixar’s new educational program, Pixar in a Box. I relished every minute of the presentation and started scheming how to add Processing and Scratch, as well as Arduino, into the mix with the existing lesson plans. Sadly, my time was winding down, I had an afternoon flight back to Denver and a full weekend before returning for a weeklong stretch in San Jose, so I had to beat a hasty retreat. I said my goodbyes to Sam and Sheryl and thanked Casey, Dan and Anna from SCOE. It’s always bittersweet leaving events like reMAKE Education. There is never enough time, and I’m always thinking, “I really wanted to talk more with...” But there is always next year, and my bet is it will be great.